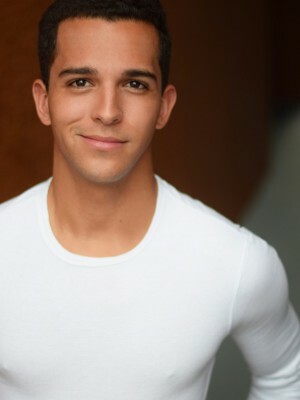 Justin DeParis is a dancer, actor, and singer born and raised in northern New Jersey. Starting at the age of 5, he spent most of his life as a competitive gymnast and holds both statewide and regional titles. Justin then started to pursue theater and dance more intensely. He holds training from and was a member of the Senior Company at Studio L Dance Company in Waldwick, NJ. He is trained in Jazz, Lyrical, Contemporary, Hip-Hop, and Tap. Justin pursued his love for Musical Theater by heading down south to Florida State University, where he received his BFA in Music Theatre as a part of the Class of 2018. At Florida State, he received training in voice, dance, acting for the theater, acting for the camera, as well as electives in theater analysis, technical theater, and stage makeup. Justin has worked at regional theaters such as Maine State Music Theatre, Arts Center of Coastal Carolina, and Lyric Theatre of Oklahoma; as well as appeared on television shows and events including the Macy’s Thanksgiving Day Parade, Dance Moms, and MSG Varsity Talent Competition just to name a few. Outside of theater Justin loves to teach both gymnastics and dance at his local dance studio, travel whenever he gets the chance, watch romantic comedies with his friends, and cheer on FSU football!